You guys already know... I'm a sucker for light blues and this one might be my new favorite!! It has just the right amount of blue to it but it's a subtle enough shade where it is so elegant and wearable. The only thing that could make this polish better would be if it was a two-coater! But I can live with 3 coats for this beauty, especially because I love the butter London brushes. It's a wide, flat brush with curved edges that make it super easy to get a perfect cuticle line. I've also been wearing my nails a little bit shorter lately and for some reason, I think this shade really suits my nail length here. I've been wearing this polish for 4 days now and I have no chipping on my swatch hand (right), only tip-wear. My dominant hand (left) always chips first, but even then, the chipping is pretty reasonable. I can definitely get a few more days out of this, so I would estimate this lasts about a week. Even longer if you touch up with a top coat every few days! Next up is "London Fog", a medium gray creme. Here I'm wearing 2 coats with top coat. This one actually was pretty close to being patchy with two coats. I probably could've done with a third coat just to really make sure the color was opaque. I definitely have been needing to add more gray nail polishes to my collection and I think this one will be great for the fall/winter months! It's a nice subtle shade and grays are usually flattering on most skin tones. You just have to find the one that works best for you. For some reason, this polish's brush was extra wide and was actually a little too wide for my nails... I think it might just be a quality control issue because this was the only one where the brush was super fanned out. You might also recognize this nail polish from my last nail design: my Ariana Grande Cloud nails! Then we have "Ta-Ta! 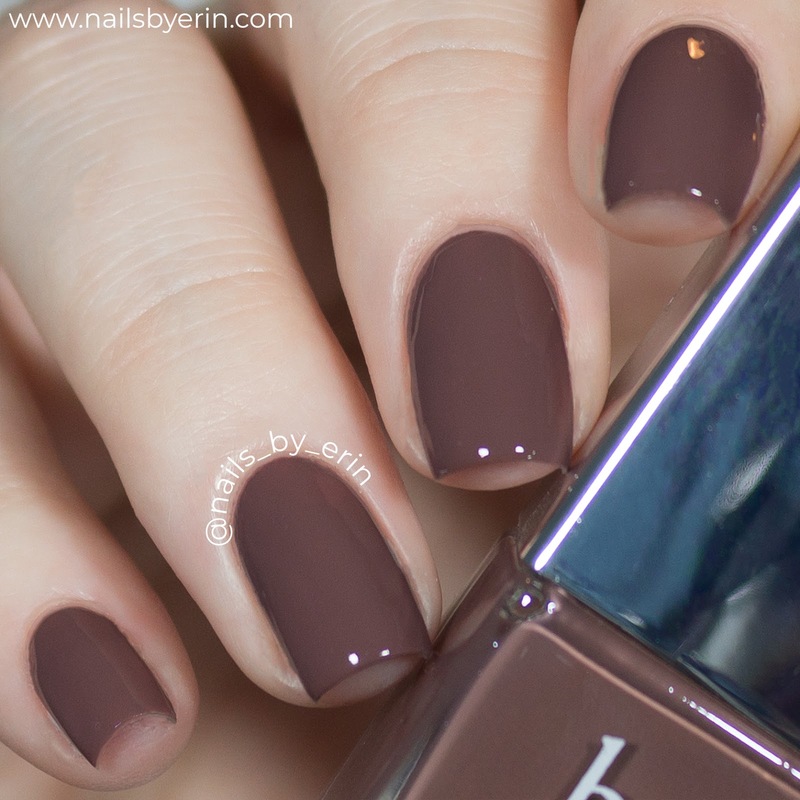 ", a cool-toned taupe creme polish. Here I am wearing two coats with a layer of top coat. I love wearing shades like this! They are probably my favorite kind of neutral to wear. This one (just like the others) had a great formula that went on smoothly and beautifully. As much as I love my blues and greens, I typically tend to wear neutrals just like this one on a weekly basis. I like to wear a solid nail color rather than nail art and this one will definitely make it into the rotation from now on! Next is "Royal Appointment", a warm, rose-y toned brown shade. Here I am wearing two coats with a layer of top coat. This one was definitely opaque in two coats and had an easy application! This is what I would describe as a dark, dusty rose shade. It definitely turned out to be more brown than I expected, but I still like this color. It's different than my usual shade selection, but I think this will be a great fall nail color. And finally, we have "Bang On! ", a deep teal creme. Gorgeous!! This is my second favorite of the swatches here. 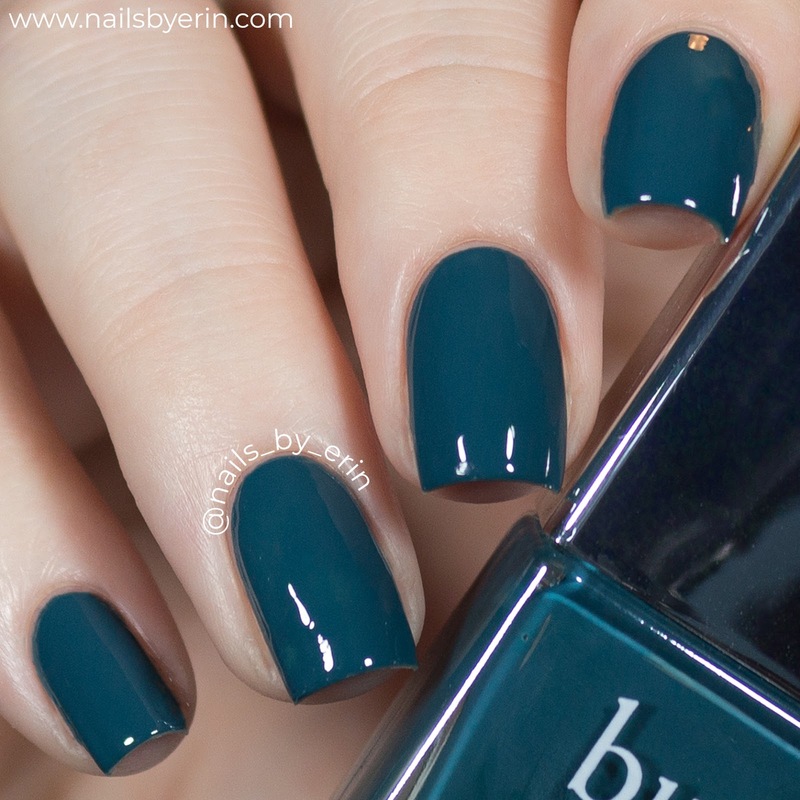 I absolutely love wearing teal and this color is so rich and beautiful. Here I'm wearing two coats with a layer of top coat. I only wore this shade for a short period of time, but even then I had to scrub a little harder to make sure all of the color came off. I think that if you wear this for a few days, you'll definitely experience some staining. It's not uncommon for teal polishes like this. Just make sure you apply a base coat! 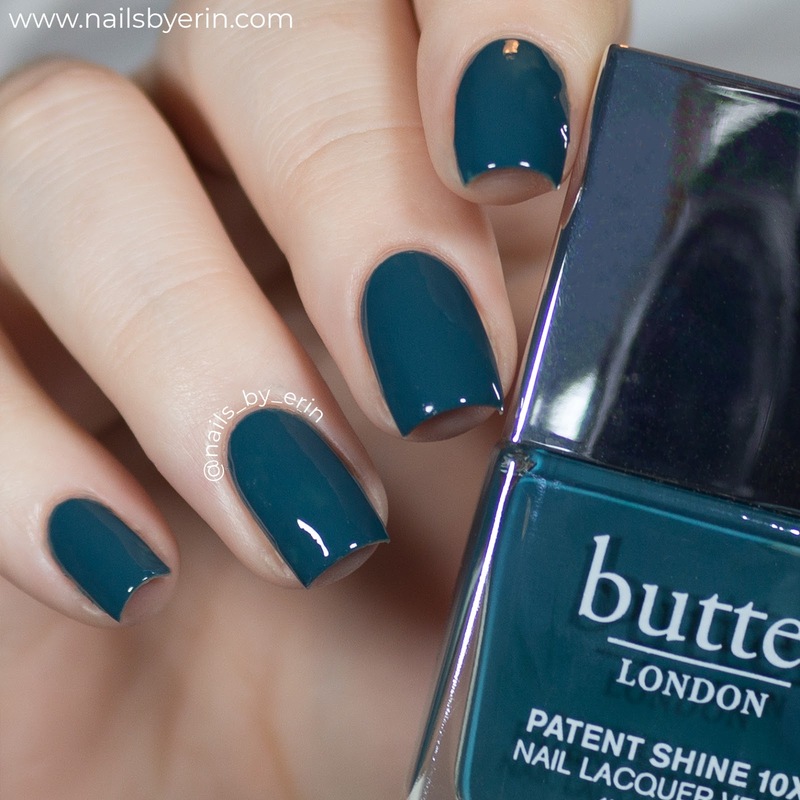 If you're into deep jewel tones, then I would definitely recommend this polish! I think the color makes this polish look even shinier, too. And again, the wide, curved brush on this polish is really necessary for getting that perfect cuticle line when applying. Especially with a dark shade like this, having that control is so important! Each of these polishes are $18 USD and are available on Amazon, as well as on the butter London website. I hope you guys enjoyed this swatch and review and found it helpful! DISCLAIMER: These nail polishes were kindly sent to me by butter London to review and share with all of you. All opinions are my own. Some links are affiliate links.